If you set the thickness of insulation 150 mm, you are good, save home heat. 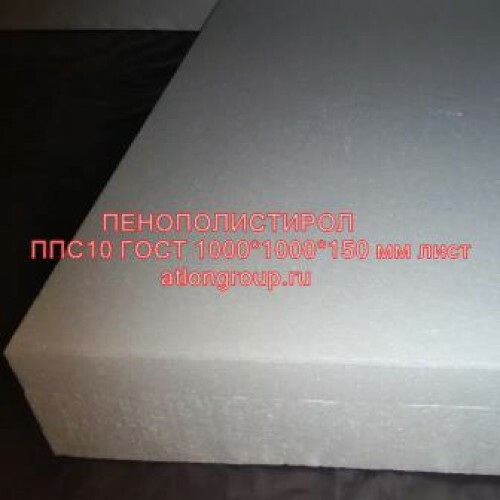 Such polystyrene foam can well insulate the room, significantly reducing heat loss. The thickness of expanded polystyrene is designed for year-round living in a insulated room. Wholesale buyers will inform the price at a discount. Price per piece: 515 rubles. Various brands of expanded polystyrene and one of them PPS 10 TU 1000h1000h150 mm. This is one of th..
What if you apply the middle layer of non-capital walls a hundredth of thickness? If you apply an av..